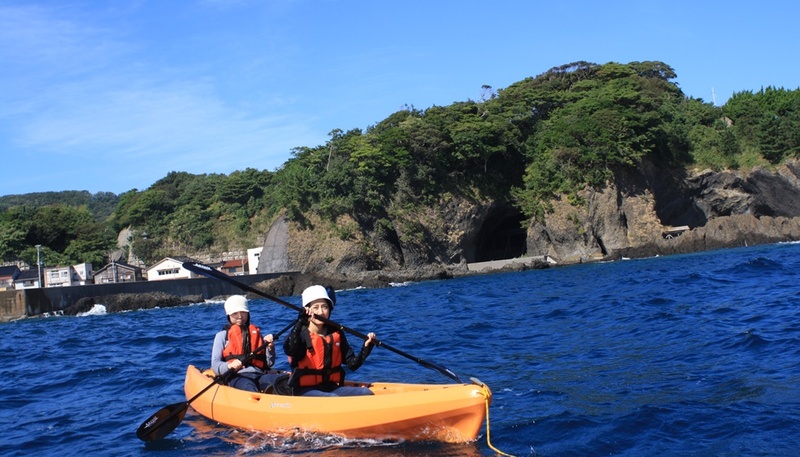 Enjoy High-Speed Motor Boat around Ogi Peninsula, diving in the crystal clear waters, hiking in a primeval forest and Sea Kayaking! The Ogi Peninsula was said to be formed 14 million years ago from volcanic activity by an underwater volcano and the scenery that we have now were formed by years of erosion from the waves and wind. 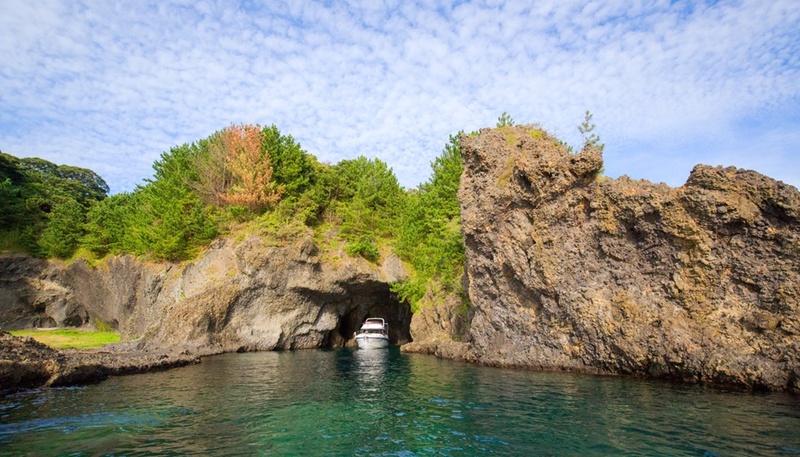 Take a spin on Rikiya’s Sightseeing High-Speed Motor Boat on a tour around the Ogi Peninsula, feeling the crisp sea breeze and learn more about the scenery while exploring the Kotoura Cave, otherwise known as “The Blue Caves”. At the end of the tour, local delicacy known as roasted “sazae”, also known as roasted turban-shell snails, will be served. If you have a child in your group, he/she will be able to ride in the “Taraibune” for free! *Please pay at Tourist Information Center in Ryotsu Port prior to the experience. 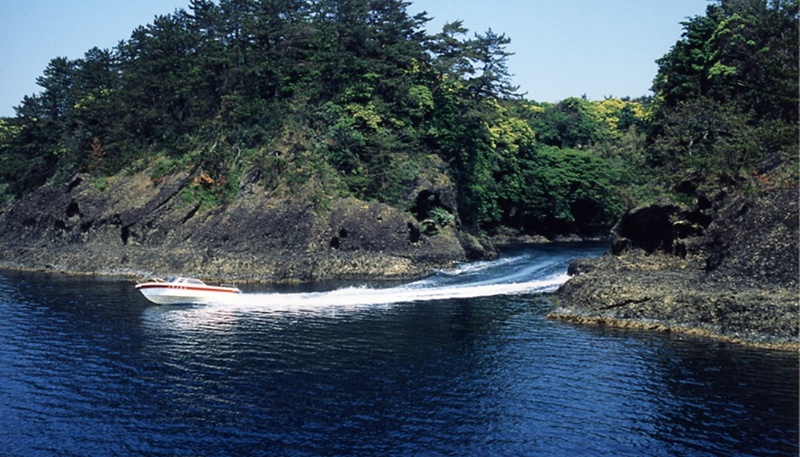 Sado Island has one of the best diving spots in all of Japan. 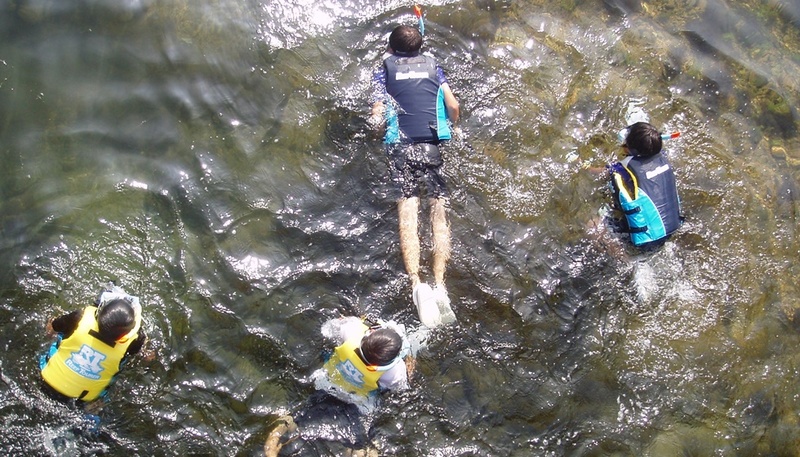 Every year people from all over Japan gather in Sado to enjoy diving in the crystal clear waters. Feel at ease as our friendly diving instructors will guide you through your diving experience. Beginners are most welcome to join! *not available from August 10th to 20th. 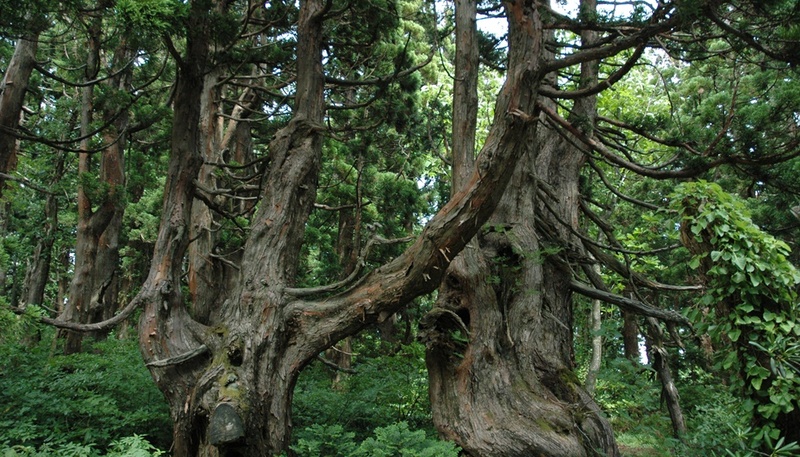 Take a deep breath in Sado’s finest primeval forests overflowing with intertwining moss and intriguingly-shaped trees. This course is highly recommended to those who are experiencing Sado’s giant cedar trees for the first time. As the slope is relatively flat, beginners, young students and even the elderly will be able to enjoy this trail. 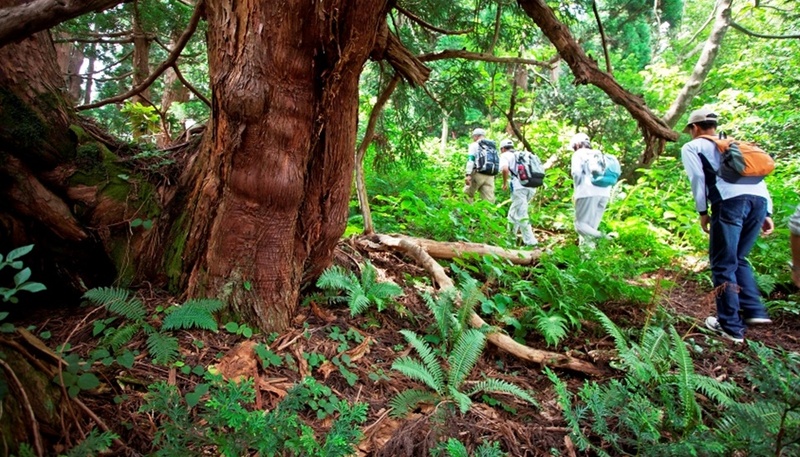 Due to the increase in people admitted to this trail, education tours are now available as well. *Please let us know the names and date of births of all attendees. *Please prepare your own lunch, drinks, and trekking equipment. 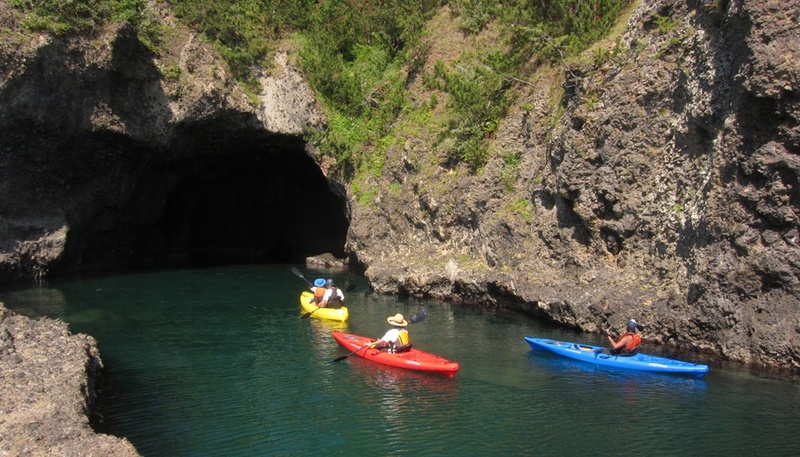 Kayak out to sea along the Ogi Peninsula, where even beginners and children will be able to navigate and enjoy with ease. Designated as a marine park, you will be able to enjoy the ocean’s spectrum of colors, explore naturally formed caves, and bask in the private beach atmosphere. Come on down and experience things you could never experience without a sea kayak! *not available on August 13th, August 17th to 20th, nor August 24th to 26th. 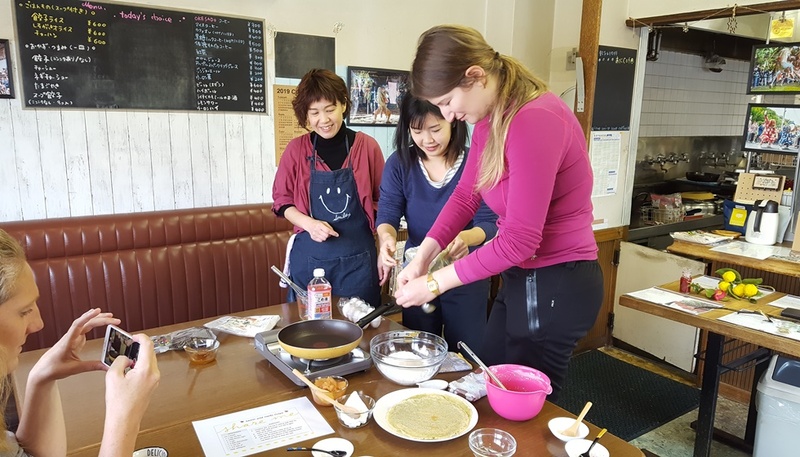 Enjoy making crepes of rice flour and camellia leaves with the owner of Oni cafe around the SADO Ryotsu Port. 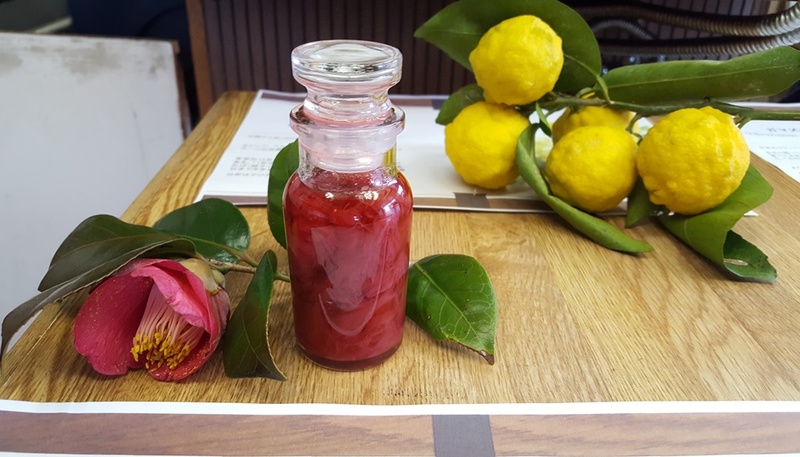 You can choose aromatic Lindera umbellata tea or coffee with the crepes. *Please let us know when you apply if you allergic to the following ingredients.